Since 1971, our family has owned and operated Shear Comfort Air Conditioning as a means to serve our neighbours from Liverpool to Wollongong, including the Southern Highlands. With more than 46 years in the air conditioning industry, we’re dedicated to the quality of workmanship that elicits 100 percent satisfaction from our clients. 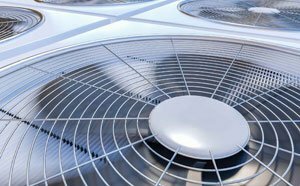 Shear Comfort Air Conditioning supplies, installs and services a range of air conditioning systems to ensure that you and your family stay cool no matter what time of year. Although we mostly provide our air conditioning services for residential clients, we’ve also helped commercial clients, including restaurants, schools, government buildings and hotels. One of the main differences between Shear Comfort Air Conditioning and our competitors is our commitment to affordability. We’ll make sure we find an affordable solution for you. For the past 12 years, our team has been proud to call ourselves authorised Daikin dealers. Call us to find out how this quality brand can effectively regulate your indoor temperatures. Call one of our friendly, family team members to learn about our superior air conditioning products.